This week’s 1000Museums Museum of the Week is the Detroit Institute of Arts (DIA). Founded in 1885, and at its present site since 1927, the DIA's 100+ galleries house an encyclopedic collection which spans the globe from ancient Egyptian and European works to contemporary art. 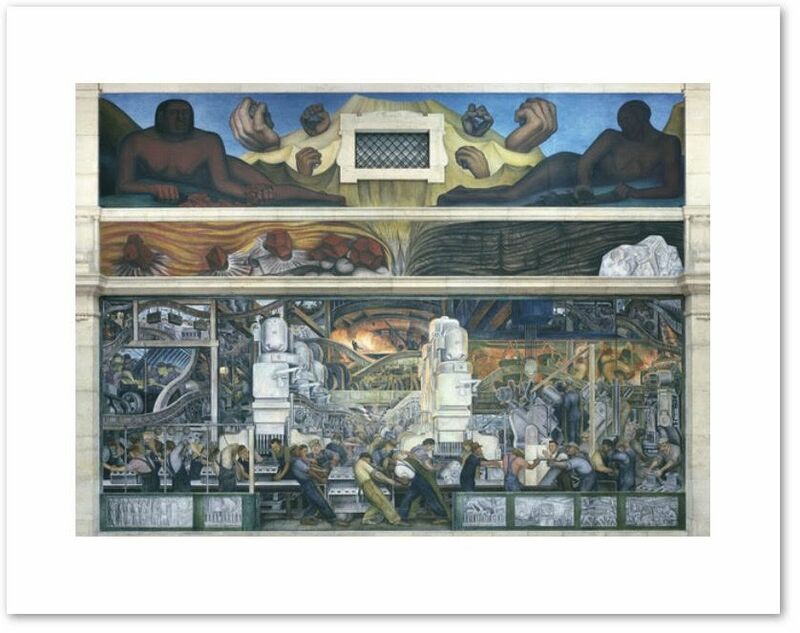 One of its highlights is Diego Rivera’s "Detroit Industry" cycle of frescoes, which span the upper and lower levels to surround the central grand marble court of the museum. We're pleased to be able to highlight the Detroit Institute of Arts as our Museum of the Week. 1000Museums partners like DIA are the ones who take care of the artwork we all love, provide great spaces to view and learn about that art, and help us ensure our archival reproductions here at 1000Museums are of the highest quality. Use promotion code DIA25 for a special 25% off anything from their collection, including custom-framed items (and shipping is free this week too!). This code will be good until we introduce the next 1000Museums Museum of the Week. Visit 1000Museums.com and save today! Copyright © 2019 Art Authority LLC, All rights reserved.